It’s not for the faint of heart, and depending on the sport you may not get the level of support you’d expect from a state body. While I’m on a committee of a local baseball club, the club has been around since 1949. I’ve always been curious about what it would take to create a sports club – I mean it’s hard enough to grow a local club as it is! I recently interviewed Tim Katz via email a few weeks ago. Tim has done a huge amount of work to start a baseball club. 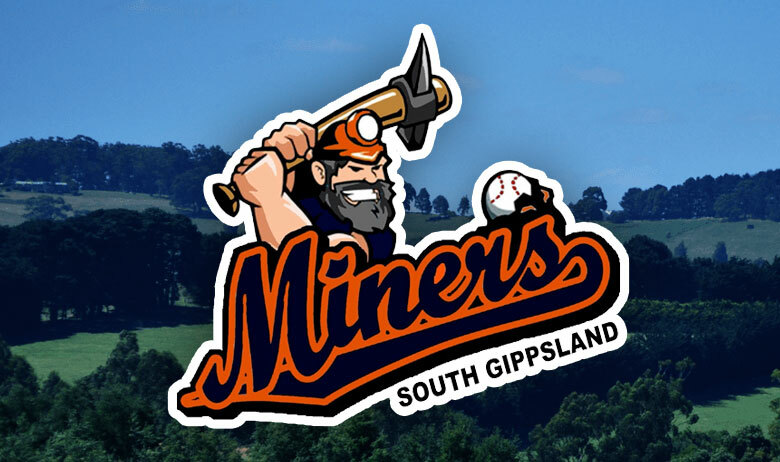 The South Gippsland Miners have now just played their first game in the Latrobe Valley Baseball Association however the interview took place about a fortnight before that. My questions are in bold, his responses come after that. What’s your background in sport and baseball? Are you or have you been a club president before? I started my baseball journey at the Moorabbin Baseball Club when I was around 11 years old. I have never been a club president before in any club or capacity but did serve about 2-3 seasons on committee at Moorabbin. What were the main decisions in thinking that you’d like to start the baseball club? When I did some work in the region I noticed that when you live in a country town you only have the choice of football, cricket, netball and soccer. I love AFL and respect all sports but in winter Baseball can be a great option for everyone, especially if they aren’t keen on the other sports. Also I obviously love the game and have made many friendships over the years through baseball, and it’s relatively low impact so anyone can play. How many people did you have to support you? Did it affect your family life? With my ups and downs of trying to get the team on the park, my fiancee Ash has been a constant support, my family has helped wherever possible, and my brothers even offered to play where and when they could. The newly formed committee have been amazing in the way they have got behind the club; really pushing to get us up and going. The enthusiasm of all the players that have turned up thus far inspire me to keep focused to make this happen for them. It has been a struggle at times with my young family, especially when getting through the first 12 months, but now with a great committee I’m able to spend more time with my family, and for that I’m really grateful. Were you able to get any advice about starting the club from anyone else with experience? It’s really very hard to get advice on starting a new club. A lot of clubs have been around for such a long time so the founders are generally very hard to get a hold of. When it comes down to it, I’ve just had to grit my teeth and hold on. What first steps did you have to take once you decided to start the club? I spoke to my family to make them aware that it would be a bumpy ride ahead. After that the most important step was speaking to council to find a home, which is a very time consuming step going from ground to ground looking for a good option. Then I approached the LVBA (Latrobe Valley Baseball Association) to see what their thoughts were. Once I had all that figured out the hard work began. Run us through the decision process and the opportunities available for finding a ground to play on. In looking for a home I really wanted to pick something with exposure to public view from a main road. This is important for sponsors to get good exposure and to give them bang for their buck. We are setting up in a Primary School, which will also give me exposure directly to juniors which is a huge factor in getting a new club going. Once the field is set up and people can see us playing and making things happen in the region, the players will come. To get pointed in the right direction I’d really encourage others to work with their local council to make it happen, and also with any other clubs that you may be sharing with. There will be backlash and knee-jerk reactions but stand tough and try to work it out. Even if you have to organise meetings with everyone involved in getting the team in the location, do whatever you have to do. The meeting may need to include the school council, other club committees, council members and your own committee. With everyone at the same meeting, you’re all on the same page and you don’t have Chinese whispers going on. At what stage did you go public with the news of the new club? What was the reaction? I put out a media release to local papers once I had the site sorted and gained approval from council, school council, committee and the cricket club committee’s approval. The reaction was very positive from most people. We got a lot of interest, however it can be very hard to reassure people that we’re not a fly-by-night club, especially without fencing and a field. In the end we will be fielding at least 1 senior mens team and working on an under 13’s team. What are the most boring parts of the set-up? All the paperwork and waiting. It seems to never end but if you keep your eye on the prize you’ll be fine. What excited you the most about the set-up? Seeing all the excitement and enthusiasm from new comers to the game. There’s definitely a hunger for new sporting options, even in small towns. Where did you get your first external support (outside of your core group)? Gene Parini from GippSport has been a godsend! He has been in contact with me throughout the whole process with info on contacts and how to go about setting up the club. Ian Murphy from South Gippsland Shire has been instrumental as well. He was always there to chat with about how things were going and with helpful ideas around processes. More recently, Penny from the grants department within council has been a wealth of knowledge for our secretary, helping us with grant applications and with advice on the best way to move forward. For anyone interested there is also company called “Regional Sport Victoria” whom are a government funded agency who will help you with getting an idea of what it will take and where to start. Part of Baseball Victoria’s mandate is to grow the game in our state. What has been your experience with the state body? Also how supportive was the LVBA in helping you get set up? Baseball Victoria’s role has been more behind the scenes, which means they’ve given an endorsement of what we’re doing (as opposed to financial assistance). While I don’t want to offend anyone, I would say the most disappointing thing about the baseball bodies is lack of funding/financial support. I can understand it’s hard to get funding from higher governing bodies, but I would love to see a more sustainable way of having more finances available to new clubs. In saying that, the LVBA have been a great help in offering us whatever they can to help get us on the park, even offering some financial aid and have always been available to answer my questions. They’re always ringing just to see how we are going and to see if they can help which has been encouraging. All in all it’s a challenge, but if you love the game it will be all worth it when the first pitch is thrown! What are some of the biggest hurdles you’ve had to overcome? The hardest and most frustrating hurdle is around commitment. I had a few players who showed a lot of enthusiasm earlier on, but pulled out very close to the start of the season which is never ideal. Another is the cost involved in the sport. It’s daunting for first time parents with kids to see fees, uniform, equipment all adding up, which adds to the argument for funding. It’s also hard work to start sharing with an existing club to use their facilities. Don’t be surprised if there is a massive knee-jerk reaction to you entering and using the other club’s rooms. This could be your biggest hurdle and it can be disheartening to the point of making you want to pack it in, but just try to stay calm, stick at it and work through it. Reassure them that you will maintain and keep their rooms pristine and that you’re not there to take over. 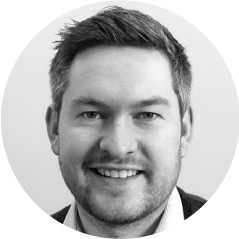 Don’t be easily pushed over – some people make it hard in the hope you will but if you really want that site, and if everyone else agrees, then fight for in a respectful way. Another hurdle is knowing where to turn for doing the cut outs around bases for the field. Everything online is specific to what’s available in America so its not overly helpful, plus most things online discuss how to maintain and don’t discuss building from scratch. As examples, stuff like depth of scorier, what type of drainage and overall depth of cut-out and so on. What are some of the things you would have done differently if you had your time again? It’s hard to say. The only thing may be to try and have a committed committee set up and ready to go, with all the documents for incorporation in and signed on the sly (so to speak), and then once you’re incorporated to start advertising. From there get people who are keen to sign registration form at come and try days, and then get immediately onto grants. Incorporation can take up to 5 weeks and that is paramount for everything: bank account, grants, being able to be a club in general. None of this can be official without it. What are you now focusing on as a club to make sure you’re going to be around in the long-term? To ensure longevity you must have a junior program. Hit up schools as much as you can. The hardest part for me is living in Melbourne and driving back and forth. The best thing to get juniors is to try and involve school Physical Education teachers. I have one currently signed up to play and he is able to speak to kids directly and introduce them to the game at a school level and is coaching them at trainings. Also, make sure the facility details are up and running and in good order for next lot of committee members, so they can walk in and have it all there, ready to go. Have you tracked the amount of time and money you’ve spent personally and corporately and how much is that (only if you’re ok with sharing that detail)? I have a company vehicle so I’m very lucky that petrol has not cost me, but it’s a matter of opinion: what is your time with your family worth? If you try go it alone from the get go it’s hectic and family does miss out. I would estimate that if I was to pay for fuel and charge for hours and phone bills and such it would easily reach $5,000. There have been way too many hours to even try and figure out, but if I could put a basic approximation on it, probably hundreds. What were the biggest costs, and where did you make your biggest savings? Great question! If you are to get professional fencing companies to do back nets, it will cost between $22k and $44k. These quotes do not include footings being dug or any other permits organised. That is all on you. I have been lucky as I have an engineer and a draftsman playing for us who have drawn up CAD designs to spec and the engineer can help us organise once we start constructing. This has kept our costs under $10k for materials which is the maximum that council grants will outlay. That costing also includes all timber and sheet metal for our dugouts. The earlier quotes from fencing companies do not provide any of that either. In short: the more you can do as a club on your own the better off you will be. Another expensive outlay is uniforms – suppliers tend to give the impression that they care but are there to make money regardless of what they say. I shopped around for a long time comparing supplier to supplier, and have saved a massive amount on uniforms by using a company called ASA (All Sports Apparel) – Naomi there is amazing! I contacted them in the morning and had sent her all the ideas I had by lunch time, and by 6 o’clock that night she had designed professionally all my uniform requirements and had provided all sizing and costing. Their pricing is similar to one other supplier in Melbourne but her service is second to none and she was always trying to help me keep costs to a minimum due to a start up club. Her designs were spot on, and she was even able to improve on some of the designs which was great. Keeping costs down is imperative, with fees costing quite a bit and with the addition of equipment and uniforms, a first year player has to outlay anywhere from $600 dollars upwards, so be mindful that you will need to do some homework. Now that you’re heading into your first season, how does it feel looking back to the start? It still doesn’t seem real as yet because we have not taken the field but once we’re out there as a team, in an area that has never had one before, it could be quite emotional. I will finally see something for all the hard work that’s been done. The next big emotional roller-coaster will be our first home game in the second half of the season on our home ground. Can’t wait!